Mitt Romney’s run for the Republican nomination for U.S. President in 2012 has provoked a fresh round of debates about the relevance of his Mormon faith to his viability as a presidential candidate. However, the mere label Mormon does not really tell us very much about Romney as an individual. 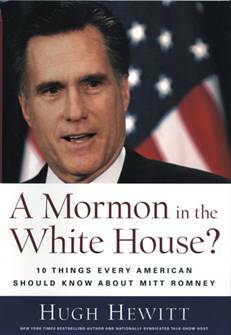 Any discussion of the issue should proceed from a broad understanding of Romney’s background in Mormonism. Mitt Romney’s great-great-grandfather was Parley Pratt, a Mormon apostle who had twelve wives. His great-grandparents were polygamous Mormons who moved to Mexico because of U.S. anti-polygamy laws. Miles Park Romney had five wives—including one taken in 1897, more than six years after the “Manifesto” supposedly announcing a ban on plural marriage in the LDS Church.1 The historical evidence shows clearly that Miles was not an anomaly. LDS Church founder Joseph Smith had himself secretly practiced polygamy, and his successor Brigham Young led the way in making it a common practice in territorial Utah. Many Mormons, including Wilford Woodruff, the LDS Church President who issued the Manifesto, continued to take additional wives years after the Manifesto. Romney’s father, George Romney, was born in 1907 in Chihuahua, Mexico, to monogamous parents, and moved with them to the United States in 1912. George went on to become governor of Michigan (1963-69) and the head of HUD under Richard Nixon (1969-73). During his retirement years, George Romney held the offices of patriarch and regional representative of the Quorum of the Twelve Apostles in the LDS Church. Mitt Romney’s Mormonism is not his great-grandfather’s Mormonism. In recent years, Mitt has occasionally expressed contempt for the practice of polygamy and pointed out that Mormons no longer practice it, but he has also joked that as a Mormon he believed “that marriage should be between a man and a woman and a woman and a woman.”2 Ironically, as his wife Ann pointed out on the presidential campaign trail in 2007, Mitt was one of the few Republican presidential candidates at the time who had had only one wife—since Rudy Giuliani had been married three times and John McCain, the eventual Republican nominee, had been married twice. By contrast, all of the major Republican candidates for the 2012 nomination have been married only once except for Newt Gingrich, who has been married three times. For resources on New Thought, see our research bibliography on the Mind Sciences. positive thinking as a means to financial or business success. Hill’s book presents a thinly veiled version of the New Thought prosperity doctrine, according to which the universe is suffused with “Infinite Intelligence” into which one can tap by thinking and thereby achieve whatever one sets out to do.4 Mitt reportedly read the book on the recommendation of a Mormon church leader in Utah. 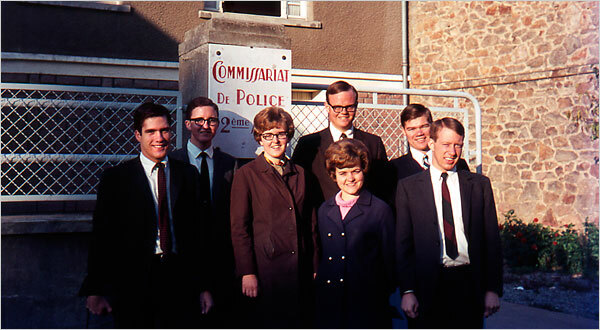 In a journal entry, Mitt commented that he had delivered a lecture at a missionary conference in France based on a passage in the Book of Mormon; Mitt’s lecture was on the theme of “how we can obtain anything we want in life—if we want it badly enough,”5 a clear allusion to Hill’s positive mental attitude philosophy. After returning to the U.S., Mitt attended Brigham Young University, where he led a telethon for a campus club that raised a million dollars for the school. Over the years in his careers as a businessman and politician Mitt Romney has personally tithed millions of dollars—probably tens of millions of dollars—to the LDS Church. From 1984 to 1994 Romney served as ward bishop and then stake president in Boston. It is interesting to note that the one specifically Mormon idea that Romney admitted believing in this non-answer is that the United States “had an inspired founding.” This comment reflects the LDS belief, taught in the Book of Mormon, that the founding of America was in fulfillment of prophecy. Other than that, Romney could have given the same answer if he had been Baptist, Methodist, or Presbyterian. Pappu’s only follow-up question (at least mentioned in his article) was whether Romney wore temple garments—a rather inappropriate question that Romney demurred answering. However, Romney is a “temple Mormon,” that is, a member of the LDS Church in good enough standing that he does participate in temple ceremonies.7 The LDS temple and its ceremonies are inconsistent with the beliefs and practices of historic Christianity. For example, Mormons are engaged in a massive project of trying to baptize their members on behalf of every non-Mormon who has ever lived in order to help “save” the deceased and provide them an opportunity to live in the highest heavenly kingdom. One effort to provoke Romney into discussing his Mormon beliefs provoked denunciation from Mormons and many non-Mormons as well, when a political rival, Baptist pastor and former Arkansas governor Mike Huckabee, asked if Mormons didn’t believe that Jesus and the devil were brothers. The question drew scornful protests from Mormons but not much in the way of clear, candid explanations of their doctrine—and Huckabee felt obliged to apologize to Romney. The fact is that in LDS theology, all human beings (including Jesus), all angels, all demons, and the spirit who eventually became the Devil himself, are all originally spirit children of a Heavenly Father and Heavenly Mother. Jesus became a God and Lucifer became a Devil, according to LDS doctrine, because of the choices they made in Heaven before the earth was made. This doctrine is far more significant for what it tells us about the Mormon view of Jesus than for what it tells us about their views of Satan. While Mormons, including Mitt Romney, may downplay the significance of their theological differences with traditional Christianity, evangelical Christians maintain that theology—what we think about God—is central to religion and faith. That is why, for many evangelicals, Romney’s LDS faith remains an issue with regard to his run for President—not the only issue, arguably, but an issue at least to be considered. Whatever one may think about a Romney presidency, the controversy points up the importance of taking a closer look at the teachings of the Church of Jesus Christ of Latter-day Saints. 1. AP News, 27 Feb. 2007. 2. Sridhar Pappu, “The Holy Cow! Candidate,” Atlantic Monthly, Sept. 2005. 3. David D. Kirkpatrick, “Romney, searching and earnest, set his path in ‘60s,” New York Times, 15 Nov. 2007. 4. A recent book by a non-Christian that puts Hill’s book in its New Thought context is Barbara Ehrenreich, Bright-Sided: How the Relentless Promotion of Positive Thinking Has Undermined America (New York: Henry Holt—Metropolitan Books, 2009), 91, 94-95, 192 (called Smile or Die outside the United States). 5. Michael Kranish and Michael Paulson, “Centered in faith, a family emerges,” Boston Globe, 25 June 2007. 7. 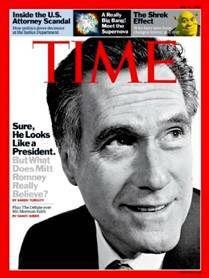 “Mitt Romney—More than Politics” (blog), 28 August 2008. 8. “Romney’s ‘Faith in America’ Speech,” New York Times, 6 Dec. 2007. 10. Matthew Bowman, “Generation gap: Jon Huntsman, Mitt Romney, and the two very different strains of Mormonism they represent,” New Republic, 12 May 2011. 11. Hugh Hewitt, A Mormon in the White House? 10 Things Every American Should Know about Mitt Romney (Washington: Regnery, 2007).